Thanks to a world full of eager developers and creative entrepreneurs constantly building new things, businesses have a mountain of low-cost web software products that we can leverage to make our organizations run more efficiently. Since I started as COO of influencers@, I’ve been on the hunt for the best mix of these products to implement for our team. Here are the findings… I hope you can use them for your team as well! This system has become the lifeline of our business. 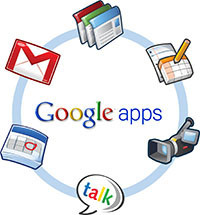 Our email, calendar, contacts and documents all work around the Google Apps system. The only documents, spreadsheets and presentations we make are done via Google Docs, and all other files like photos and videos are stored on Google Drive. Everything syncs to the cloud from my team’s local computers, so it’s effortless to share files, change permissions and collaborate. When it comes to social collaboration, Producteev owns it by making it easy to assign tasks, follow up on to-do items and share information throughout the team. Producteev lets us tag different tasks and track what areas of the business are keeping us busy. It also enables us to prioritize what we need to focus on across all of our different business units. All of our financials are run through Quickbooks Online – it is an incredible tool to track expenses, invoice customers, pay employees and more. Everytime we write a check it is logged in Quickbooks, and when our team wants to get a pulse on how our business is doing financially, it’s as simple as clicking “Run Report” in our online control panel. Most teams are constantly moving from one task to another. Especially if you are doing those tasks for customers, you’ll want to track time. Toggl is both a web and mobile app that allows us to easily track the time we spend on certain tasks for certain customers. It allows us to effortlessly figure out how much time to bill for when we do design work and more. Here is an in-depth review of Toggl. If you are selling anything, you need to track the interactions you have with customers in a CRM. Pipedrive makes it simple to track leads, see our sales pipeline and remember who to follow up with. It enables us to have different sales pipelines for different products, compare performance of sales reps and much more. So, if you are starting a new business and thinking about what software solutions might help you move faster and work smarter, try these out and let me know what you think!